GRIT can be “grown.” You need a few opportunities in your life where you experience struggle or maybe even failure and you don’t give up & experience some eventual growth or success. This adds to your confidence the next time that things will work out & “If I try hard enough for long enough, I will be successful.” Sometimes, we have “struggle by design” in the classrooms to challenge students. They need the right mindset & really believe what we believe about them: “There is nothing someone else can learn that you can’t.” “The problem isn’t that you can’t learn something, it is that sometimes we give up too early.” We want students that face a challenge & “puff out their chest.” We want them to “lean into” & embrace struggle. Shelby County Sherriff, Don Koonce & Deputy, Justin Dudra addressed students on Tuesday, March 5th to kick-off the GRIT Focus. 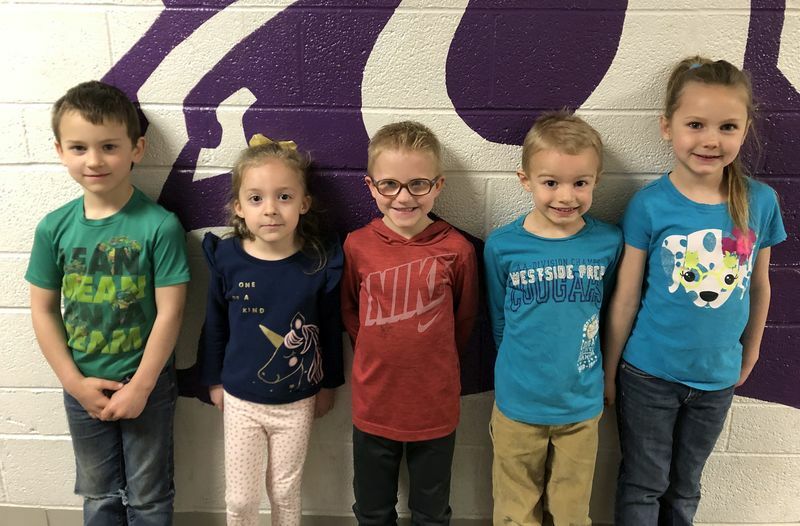 Main Street & Kindergarten Center is very proud to announce March 2019 GRIT Students. These students were identified with combination of teacher & staff observation & peer input.